Our goal is to provide a hassle free delivery experience. Upon approval and final payment, your order will be shipped/delivered through one of the parties listed below. The Wildlife Gallery Delivery Team will choose the best service for you based on cost, location, size, and availability of the services listed below. 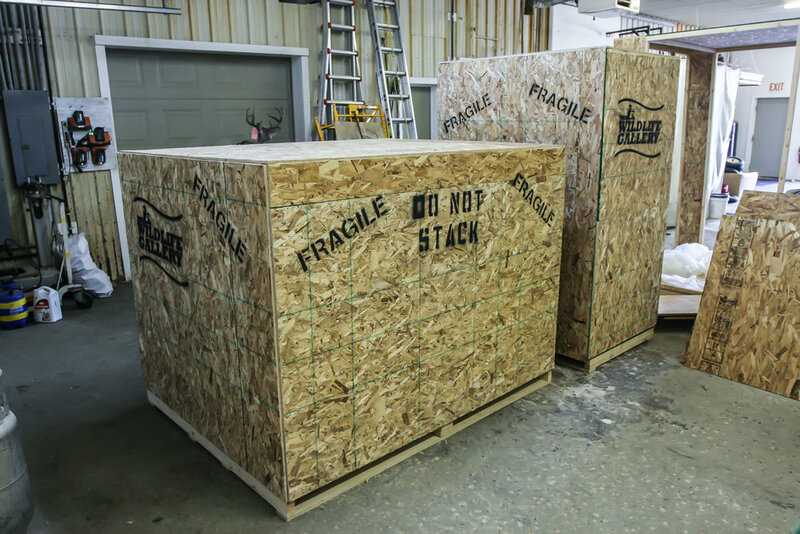 UPS – Your order will be securely crated/boxed up for shipment. *FREIGHT – Your order will be securely crated and sent through a 3rd party shipper. *TROPHY TRANSPORT - Their experienced staff and crate-less transport system ensures all your taxidermy, big or small, reaches its destination intact, on-time, and on budget. A delivery time will be scheduled once your trophies are loaded and a route is confirmed. THE WILDLIFE GALLERY TEAM - Our experienced team will carefully secure your trophies in our trailer, and communicate with you personally to work around your busy schedule. *Due to the fact that these companies have other clients on their trucks, The Wildlife Gallery can’t guarantee an exact delivery time.